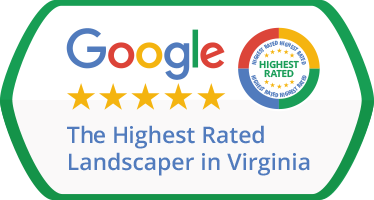 Green Hill handles landscaping, Great Falls VA outdoor property owners, so if you’re on the market for quality landscape maintenance services, we will gladly provide you with assistance. We know that lawn mowing, lawn care and landscaping in general can sometimes turn into a hassle – especially if you hire several contractors to have all your needs in this department covered, or if you contract landscape companies that don’t really know what they’re doing. You may or may not know this already, but the otherwise simple act of mowing the lawn can be done wrong, too. By shearing the lawn too short, or at inappropriate times of the year, your turf can become permanently damaged – so why burden yourself with such concerns, when a professional landscaper could take care of it all for you? That’s what Green Hill Landscaping is here, in Great Falls for. Aside from mulching and lawn mowing, we handle a wide range of other landscaping services, such as fertilization & weed control, for instance. If you need a irrigation service, we have you covered with winterization, spring startup, and summer checkups. Not only do we warrant our services and the quality of our work with the best guarantee on the market, but we also promise you will never be disappointed by our staff’s presentation. We take special care to train all our on-staff technicians in the latest landscape management techniques. We test them rigorously and regularly and guarantee they all speak English and will never visit your property dressed otherwise than in uniform. Need top quality landscaping, Great Falls VA residents? Then call us today and tell us what kind of services you’re looking for. Our portfolio of landscaping services includes mulch installation, which will help you make the garden of your dreams come true. To boot, we can also take care of spring & fall cleanups for you – working with one and the same landscaping contractor for both services will help you avoid spending too much energy on coordinating several teams at once. 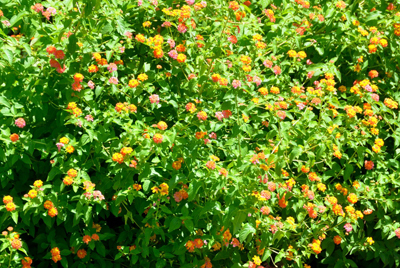 We’re a “one-stop shop” kind of landscaping company, so we’ll also take care of fertilization & weed control and flower planting for you. And since we’re on the topic of calling us, we guarantee that all our customers’ inquiries are taken over by an actual person – in the shortest time possible. Browse our happy customers section to get a better idea of the kind of quality work you can expect from us, then decide on your own!